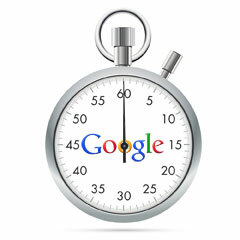 How Long Should It Take For A Site To Be Indexed? Home > Google News > Google SEO > Google Can Index New Sites Within? Google Can Index New Sites Within? A WebmasterWorld thread asks how long does it typically take Google to index a brand new web site that has awesome content? The webmaster said he has hundreds of unique and useful articles on his new site but Google has still not indexed a single page of his site, even after two weeks. To me, that sounds like an issue. I've seen sites, brand new ones, be indexed and ranking within a day or so. Now those rankings may drop down but the site is indeed indexed within days. A typical site might take a couple weeks if there aren't enough quality links pointing to the site. But a quality site with a couple quality links should be indexed fairly quickly in Google. I'd say days but not everyone agrees with me, as you can see in the thread. Take my poll below. A typical quality site, how long should it take? Previous story: Google Search By Date Has Issues With European Format?